Breakfast. 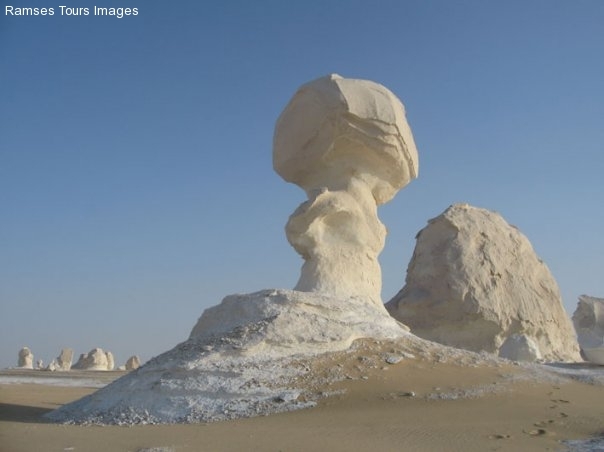 Then Drive towards the white desert, on the way we will stop by the Crystal and black Mountains for visit and lunch. 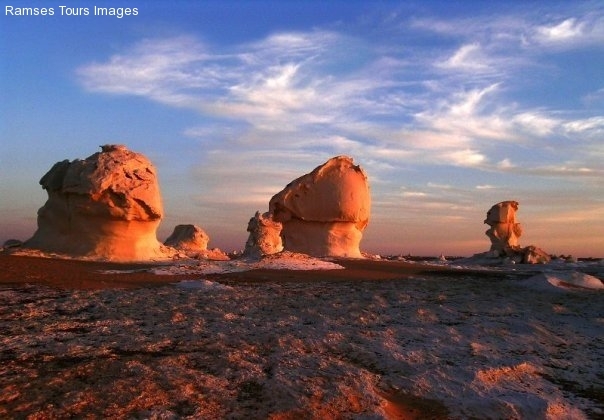 Visit the White Desert & enjoy seeing the beautiful shapes of lime stone Overnight in camp in the White Desert. Breakfast. 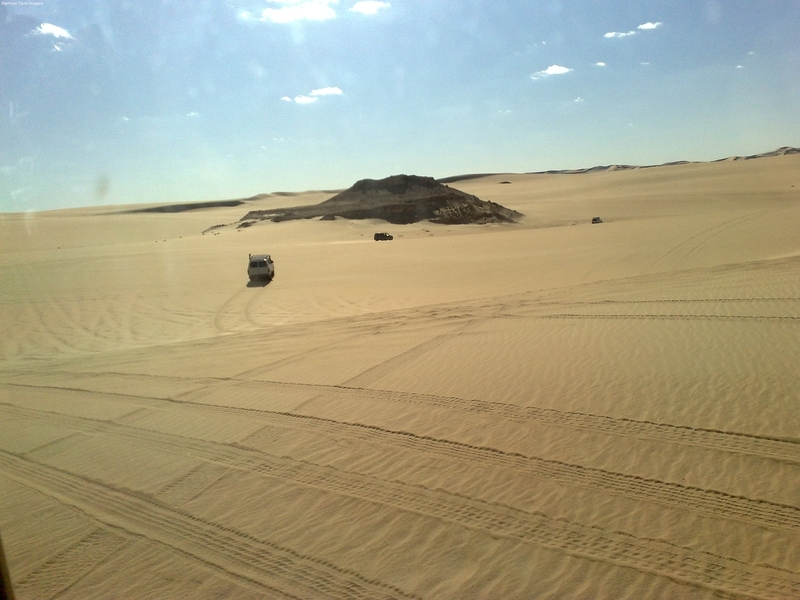 Then we visit the oasis of Farafra, continue driving to reach Dakhla. 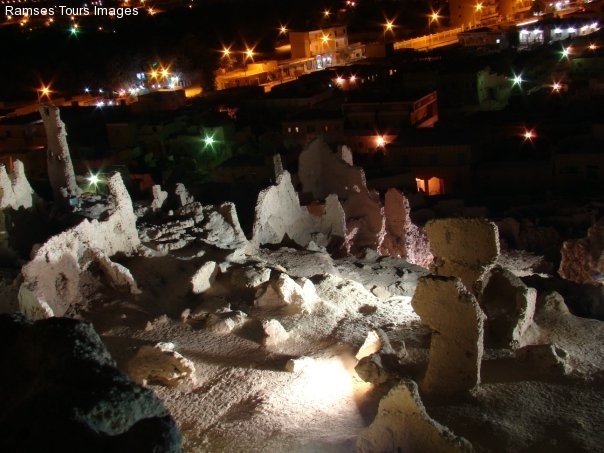 On the way we visit the Picturesque village of El Qasr, Deir El Hagar and visit the Roman burial Ground of Mozawaka then drive to thepainted rock at the yallew desertto enjoy the camel rock . 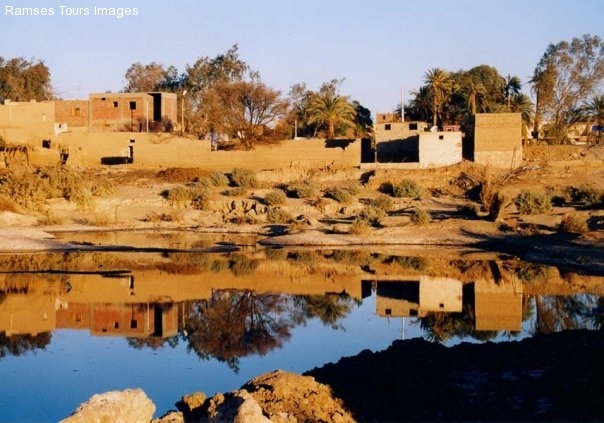 In the morning we drive to reach Kharga oasisandvisit the temple of Hibis, the Christian tombs of Bagawat and then the old town of Kharga have a lunch in a local restaurant at the oasis after lunch drive to visit the nadora fortress area. Breakfast. 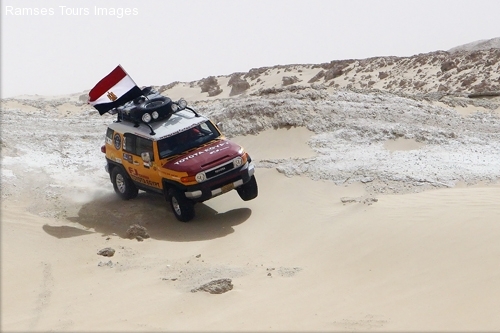 From Kharga we head to Baris oasis 90-km we visit the temple of Dush, picnic lunch and later on we head to Cairo. 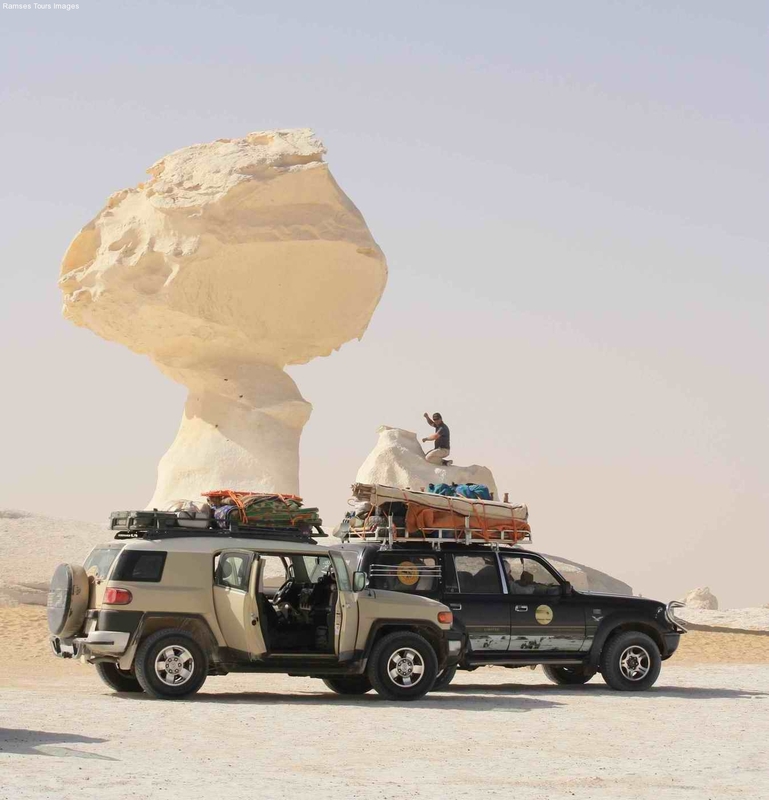 * All the mentioned itinerary by 4WD Toyota land Cruiser newest model (fully air-conditioned, with maximum of 6 packs per car, all seats are facing forward providing that all guests will have window seats at disposal for all the trip). * Spacious, well ventilated dome tents including Mattresses, blankets, sleeping bags and bed sheets. * All necessary cooking gear, kitchen utensils, mugs and glassware. * Binoculars, reference books on Egypt. * Fire grill and cooking stoves. 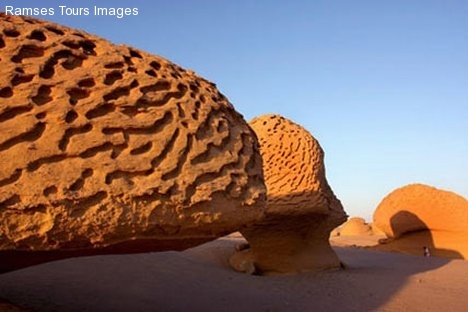 3 Nights hotel accommodation in Cairo on bed breakfast basis. 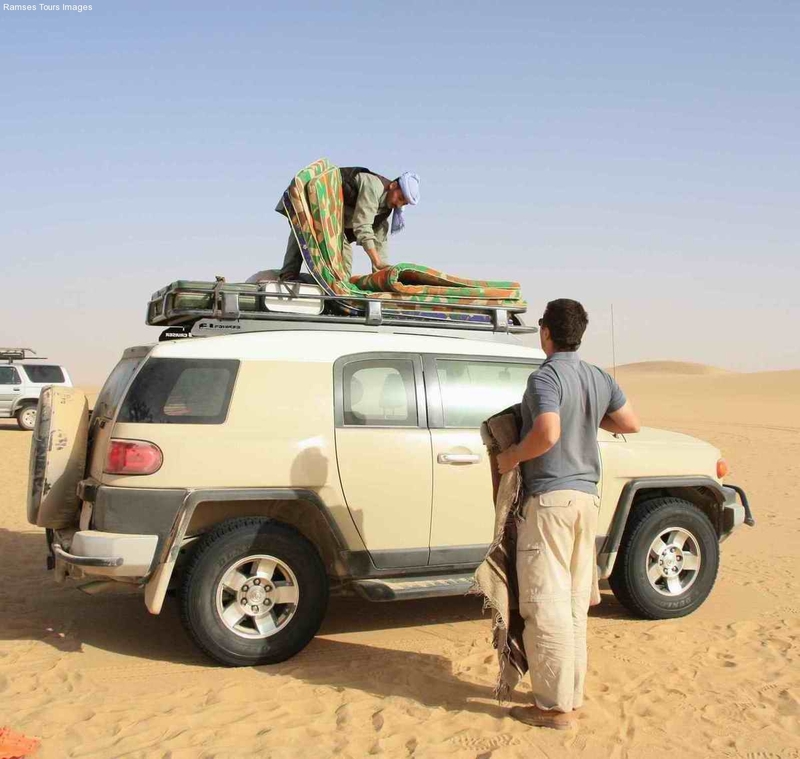 4 Nights desert safari (camping) on full board basis.